The atomic structure consists of a nucleus consisting of protons and neutrons and electrons revolving around its orbital shell. Protons are positively charged sub-atomic particle which makes up most of the mass of an atom. 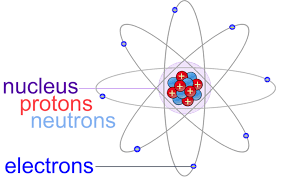 They define the property of an element as the number of protons in an atom makes up its atomic number. In any given atom, the number of protons in the nuclei is always the same. Protons from the nucleus of an atom with a positive charge of +1. Similarly, the electrons have a negative charge of -1, equal and opposite to that of protons. Since the electrons have quite a strong negative charge, they form a force field or an electrostatic field around them. Protons, being more in mass, also have an equally strong positive charge. The result is that the opposition forces are attracted to each other due to their strong binding forces. 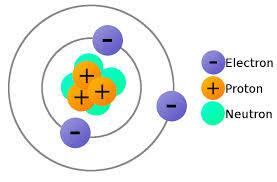 As a result, a neutral atom must have an equal number of electrons and protons. Hence, protons and electrons have charges to maintain the structural and electrical stability of an atom. How Much Charge Does a Proton Have? As we have discussed, a proton has a positive charge of +1. The protons and electrons are equally and oppositely charged. The protons are positively charged (+1), whereas the electrons are negatively charged (-1). Posted in Period TableTagged Charge of a Proton and Electron, How Much Charge Does a Proton Have?, Why Do Protons and Electrons have Charges?